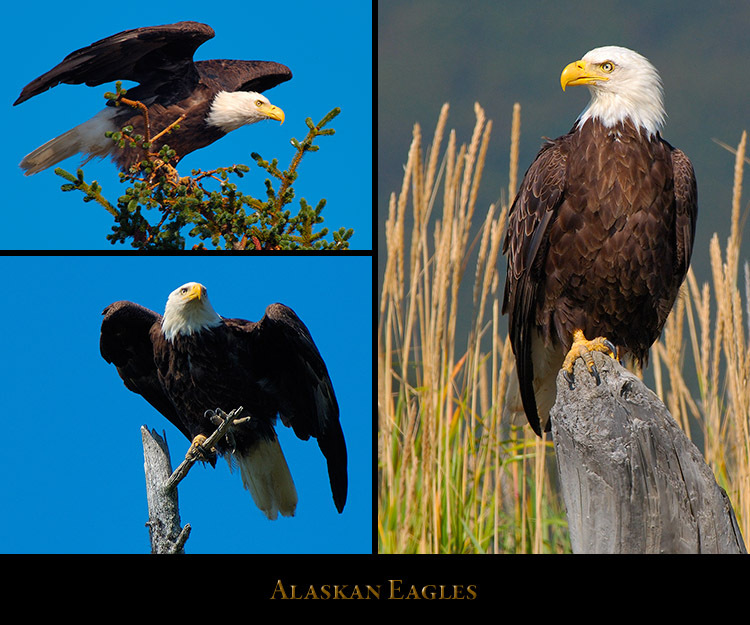 Click on a Display Composite below to select a page or subsection. 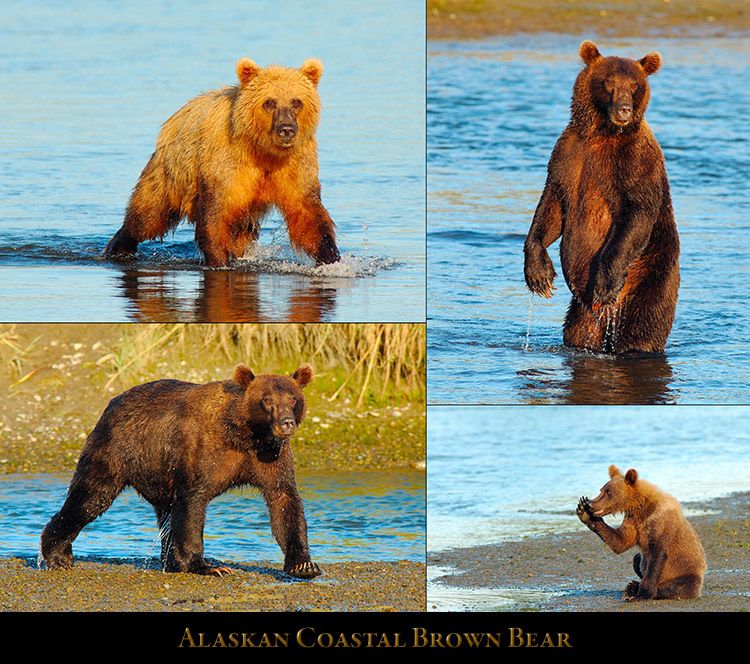 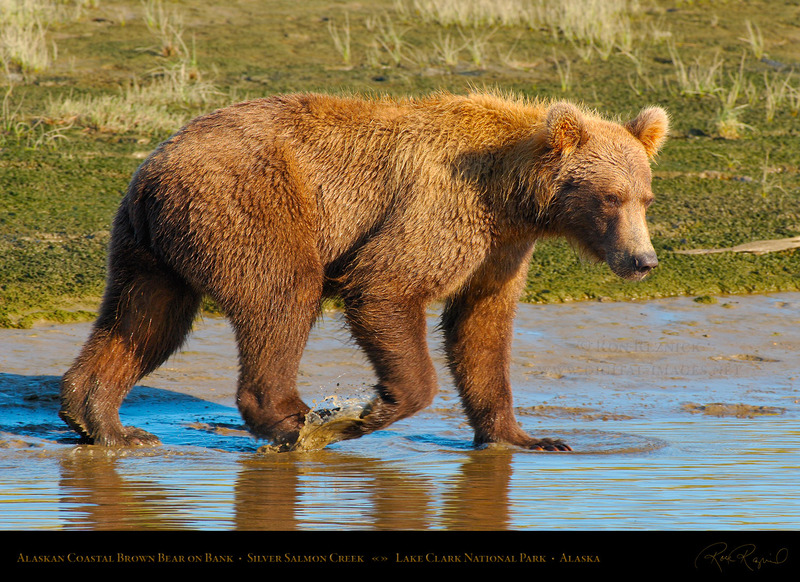 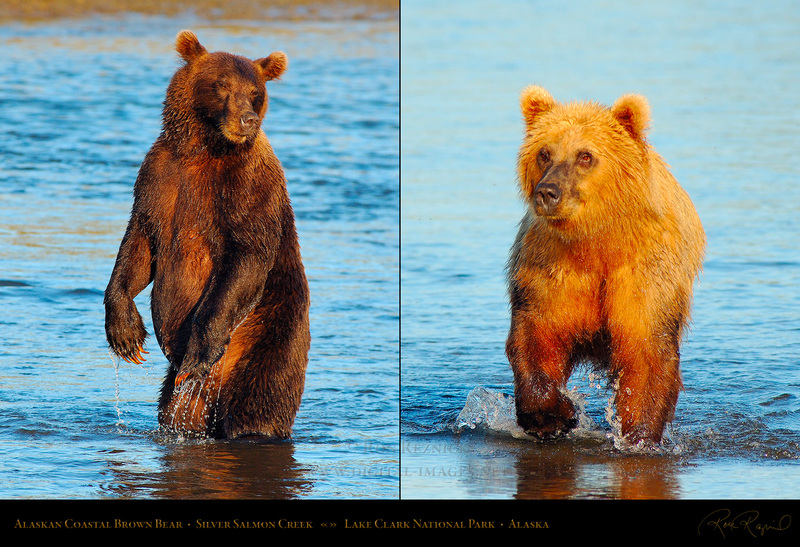 Alaskan Coastal Brown Bears, fishing, playing and teaching cubs at Silver Salmon Creek. 300 shots of a Golden Female and Cubs, Brown Bears Fishing and Assorted Brown Bears. 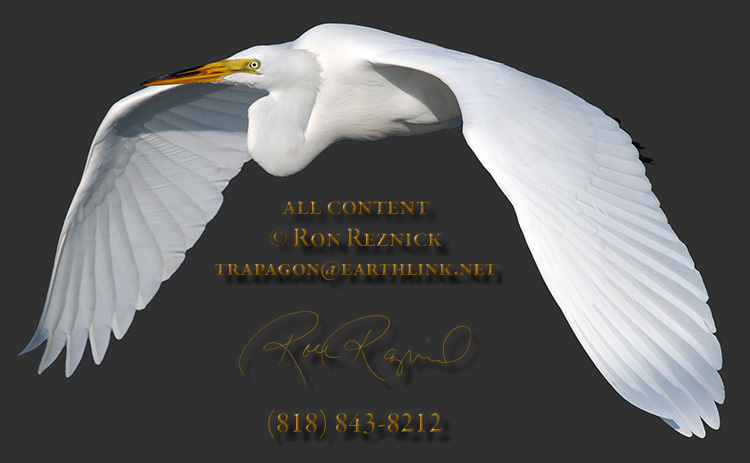 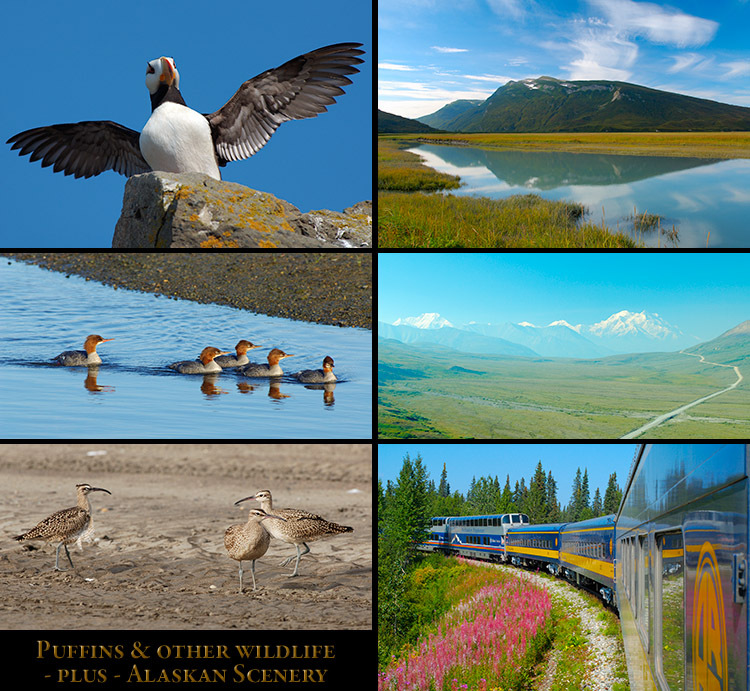 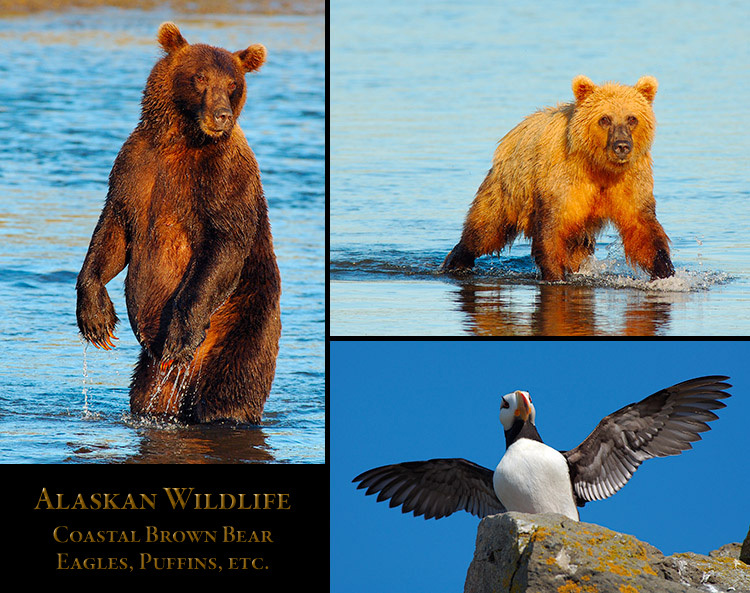 pages: Horned and Tufted Puffins; and Assorted Alaskan Wildlife and Alaskan Scenery. Below are 7 images and two composites of Alaskan Coastal Brown Bears, unique to this page. 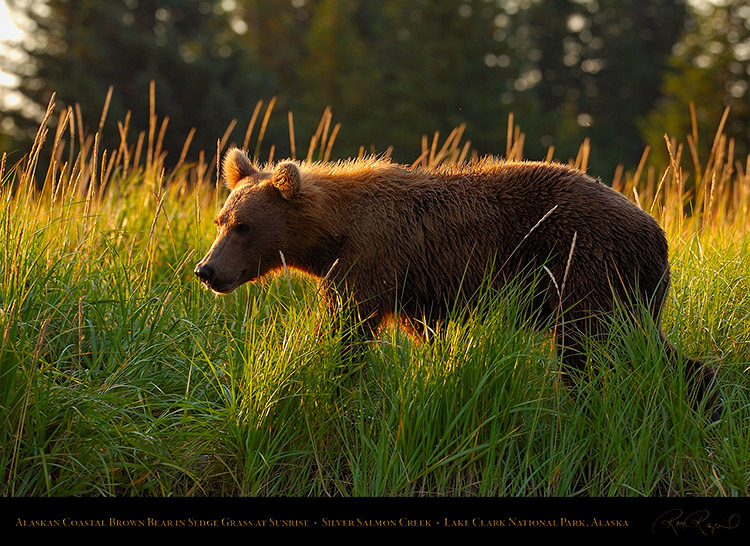 An Alaskan Coastal Brown Bear walking in the sedge grass near Silver Salmon Creek at sunrise. An Alaskan Coastal Brown Bear walking in the mud on the bank of Silver Salmon Creek at mid-morning. 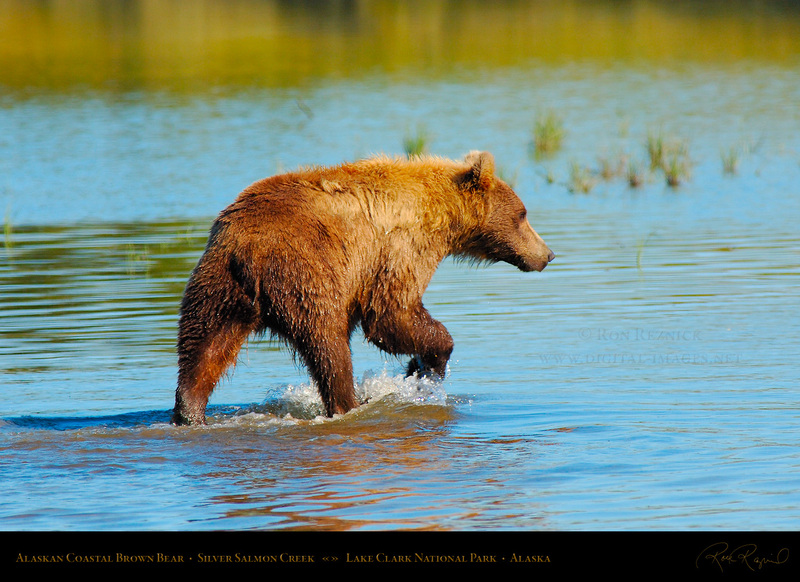 An Alaskan Coastal Brown Bear walking through the shallows of Silver Salmon Creek at sunset. An Alaskan Coastal Brown Bear cub trying to catch up with his mother in the sedge grass at sunset. in the shot number are 5:4 aspect ratio, 1500 x 1290 with a title bar, or 1500 x 1200 without the title bar. 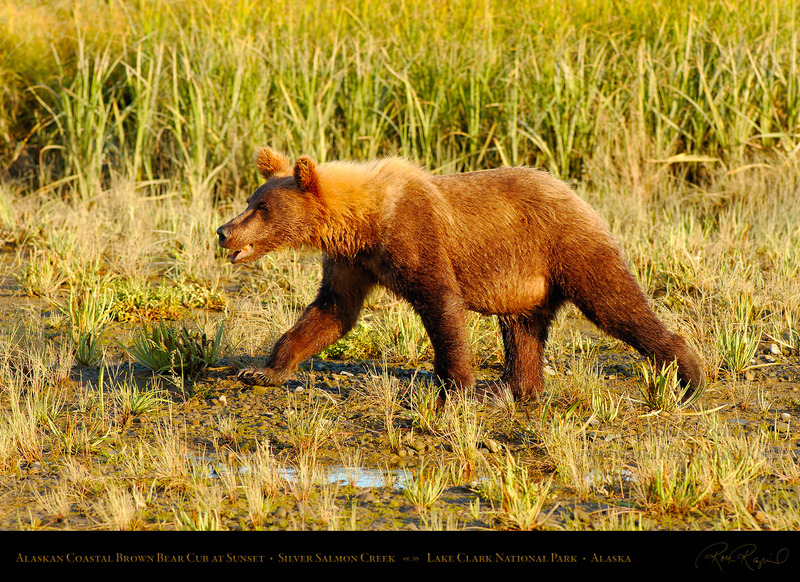 An Alaskan Coastal Brown Bear cub walking through the mud in front of the sedge grass at sunset. 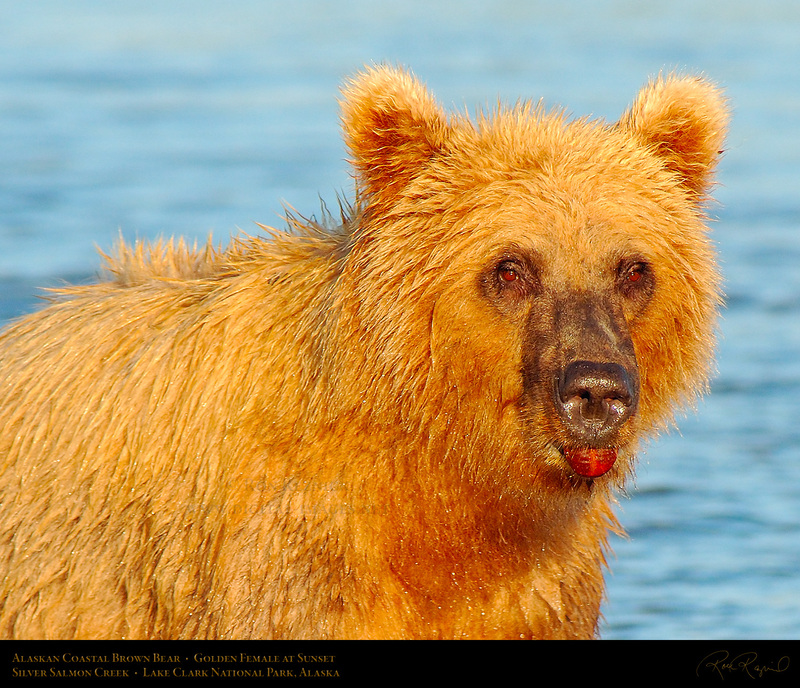 A detail crop of a Golden Female Alaskan Coastal Brown Bear at sunset, sticking her tongue out. 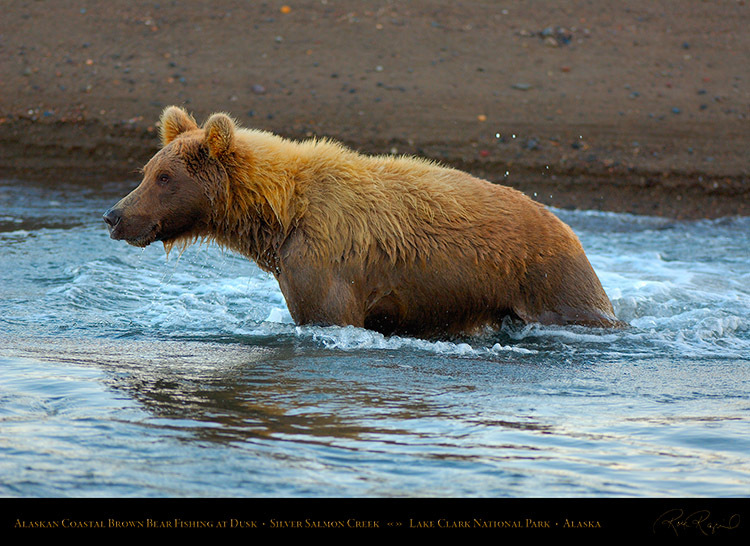 An Alaskan Coastal Brown Bear fishing in the mouth of Silver Salmon Creek at dusk (10 PM). 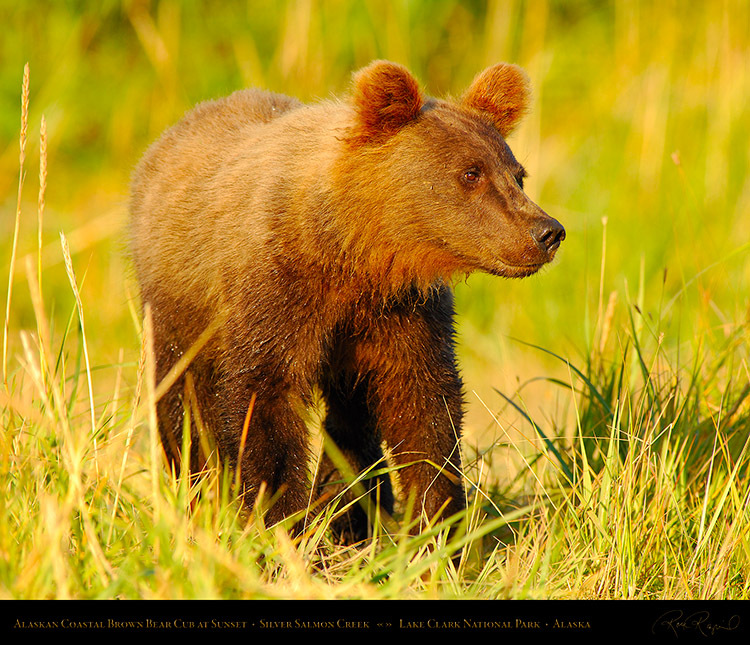 and an Alaskan Coastal Brown Bear cub whispering secrets.